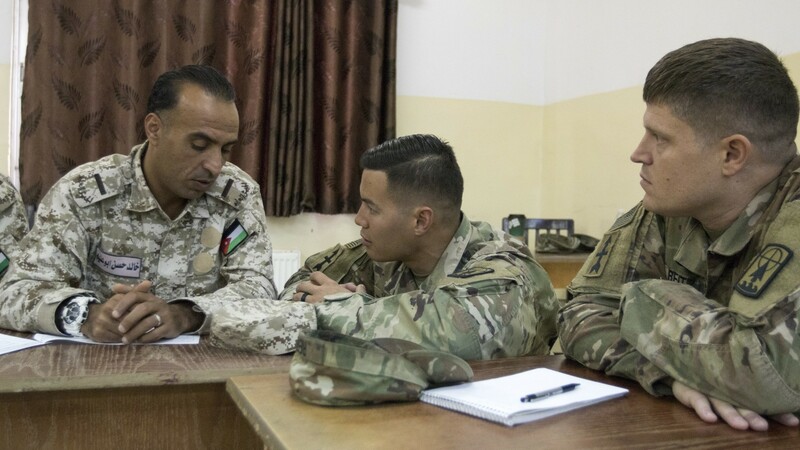 JOINT TRAINING CENTER, Jordan -- Soldiers from the 157th Military Engagement Team, Wisconsin Army National Guard, and the 300th Sustainment Brigade, spent a few days sharing their experiences with soldiers assigned as instructors in the Jordan Armed Forces. 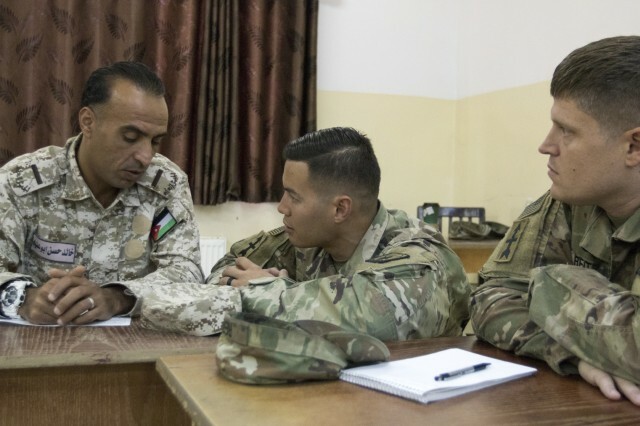 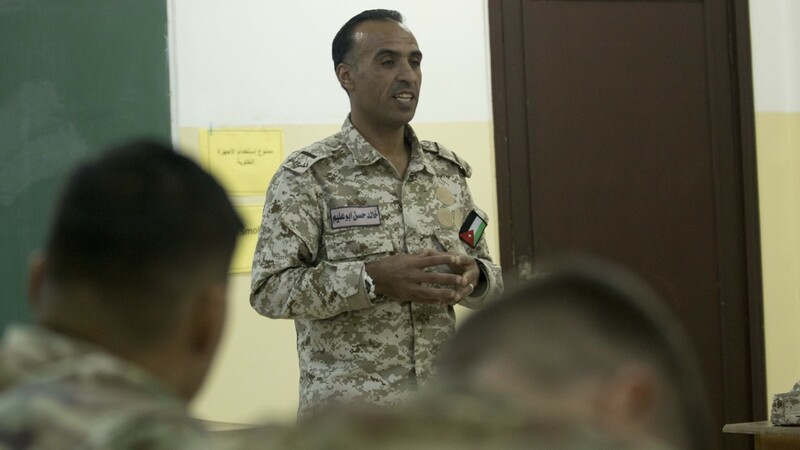 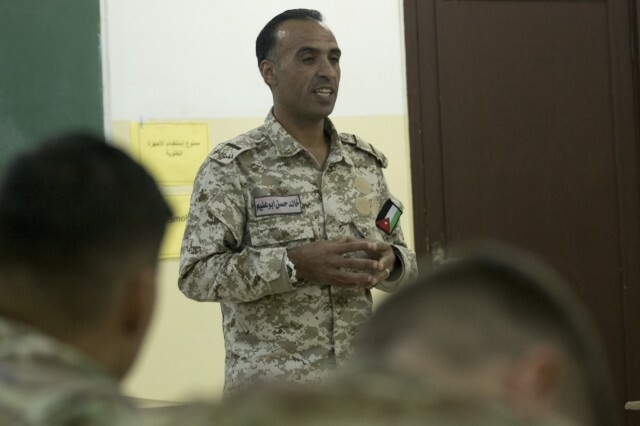 In the mornings, Soldiers from both the U.S. Army and JAF assembled in a classroom at the Jordanian noncommissioned officer academy to discuss the best practices they have learned from their years of experience as instructors. 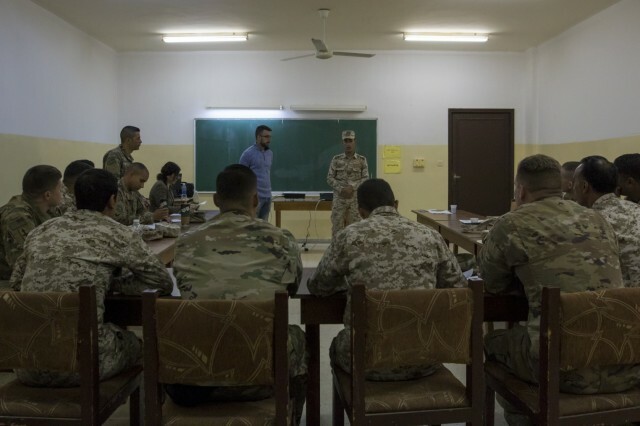 They spent their workdays comparing the concepts which guide the teaching methods employed by both forces and discussing what they liked about each teaching method. 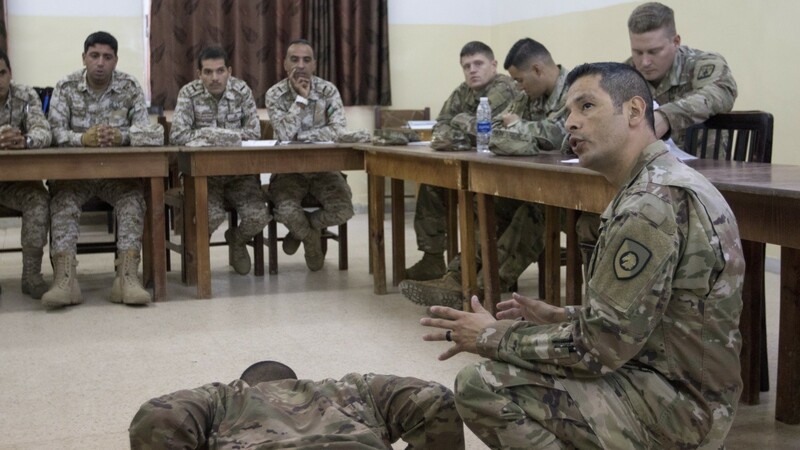 "The importance of our Soldiers and theirs working together on this course is to establish a common ground and shared understanding," said U.S. Army Staff Sgt. 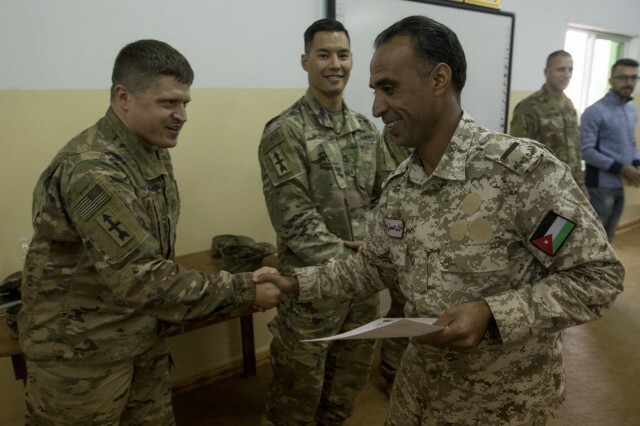 Francisco Vega, the materiel readiness noncommissioned officer for the 300th Sustainment Brigade. 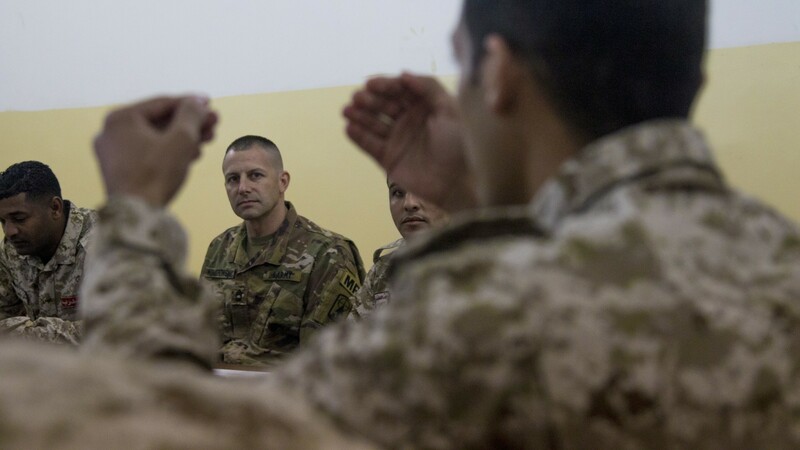 "With that we'll be able to execute larger exercises or larger operations." 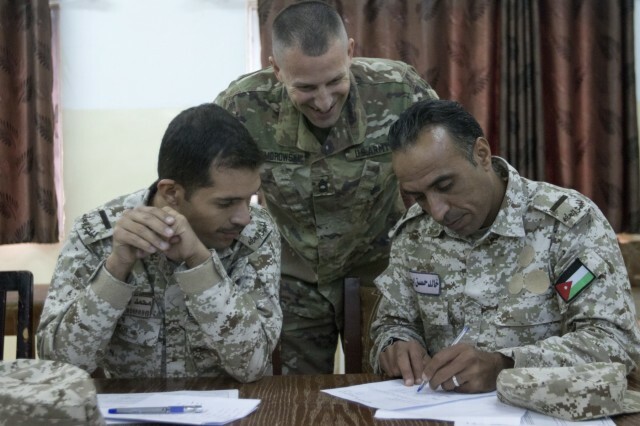 The main ideas shared by the U.S. 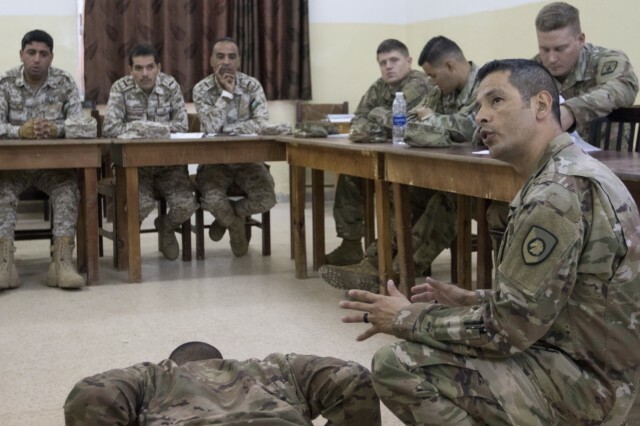 Soldiers were derived from the Foundation Instructor Facilitator Course, a class designed to improve the teaching capabilities of noncommissioned officers. A rubric used in the FIFC was translated to Arabic to show the JAF soldiers the U.S. Army method of evaluating instructors. 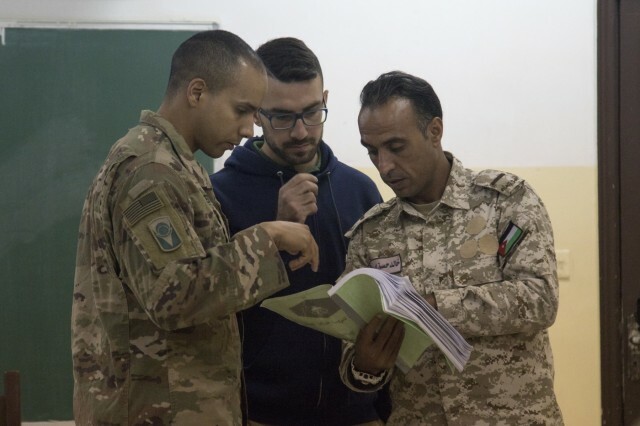 "So with this course we're trying to stress to the Jordan Armed Forces instructors the importance of taking old concepts in the instructor method and showing them the facilitator method of instruction that we now use in the United States Army," said Vega. 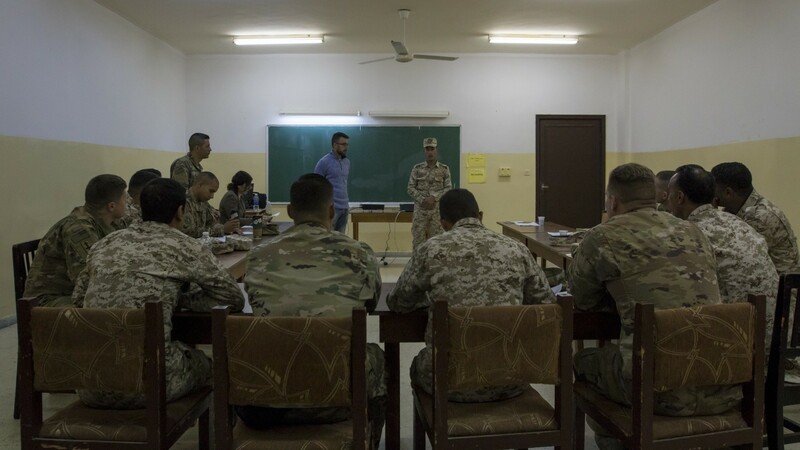 After a couple days of classroom discussion, the instructors from the JAF taught condensed versions of the classes they specialize in to demonstrate the principles which guide their teaching methods. 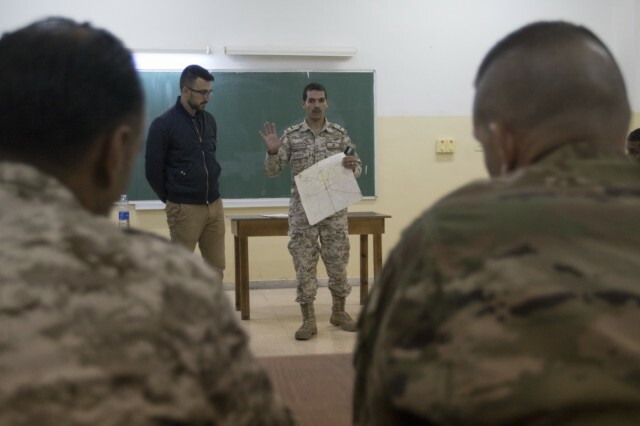 They showcased these principles with classes on marching, rifle drills, physical training, map reading, and leadership. 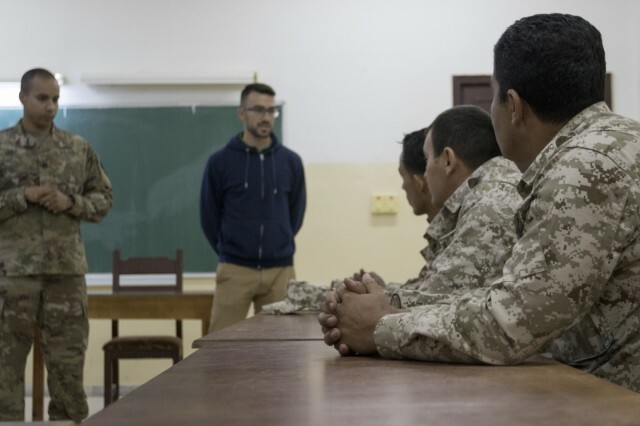 "I really enjoyed their engagement with the training," said Sgt. 1st Class Mauricio Vasquez, the noncommissioned officer in charge of the intelligence section of the 300th Sustainment Brigade. 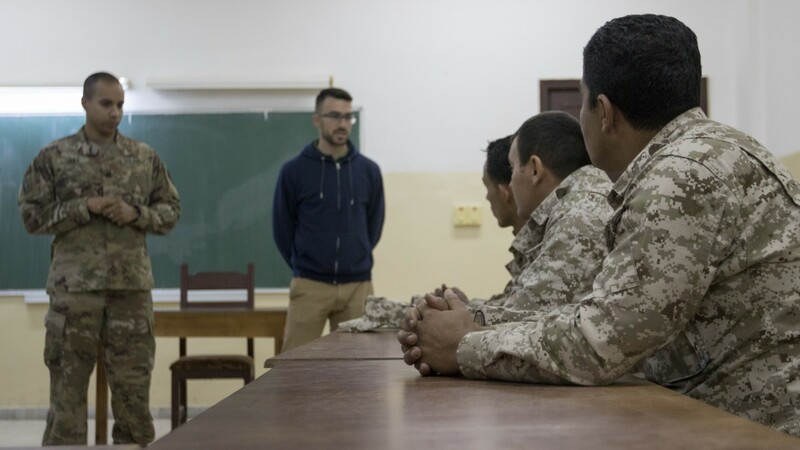 "They really tried to see it from our point of view, and in the same token they showed us their training and got us to see it from their point of view as well." 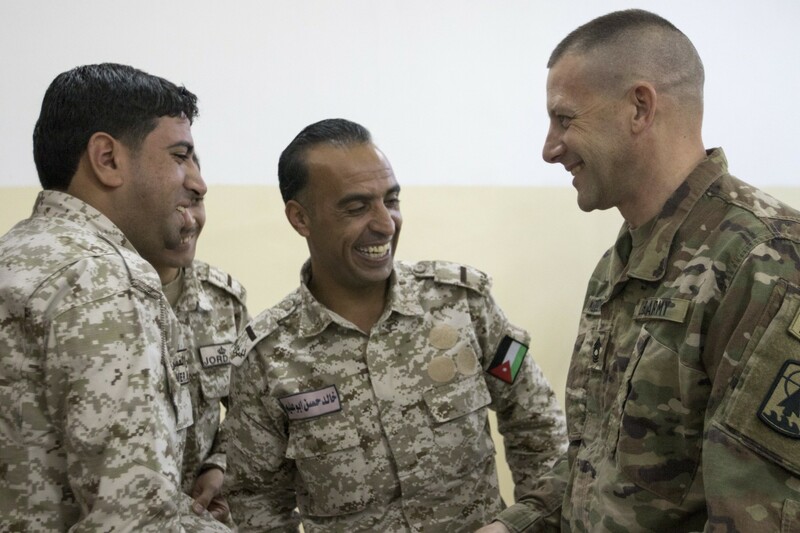 One of the most important things learned by the Soldiers in addition to the new ideas presented by their partner nation counterparts was how much they have in common. 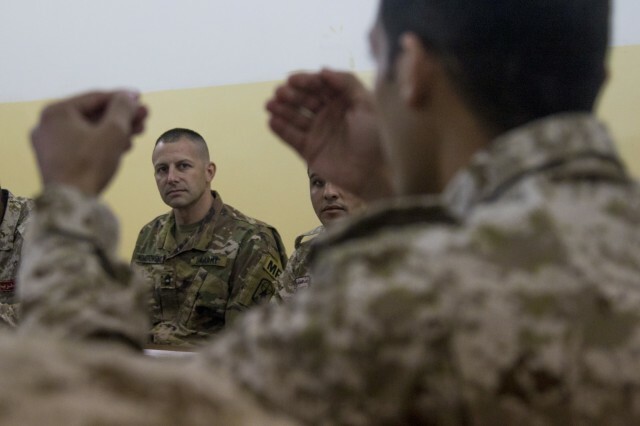 "Although we're different, we still have a lot of similarities. 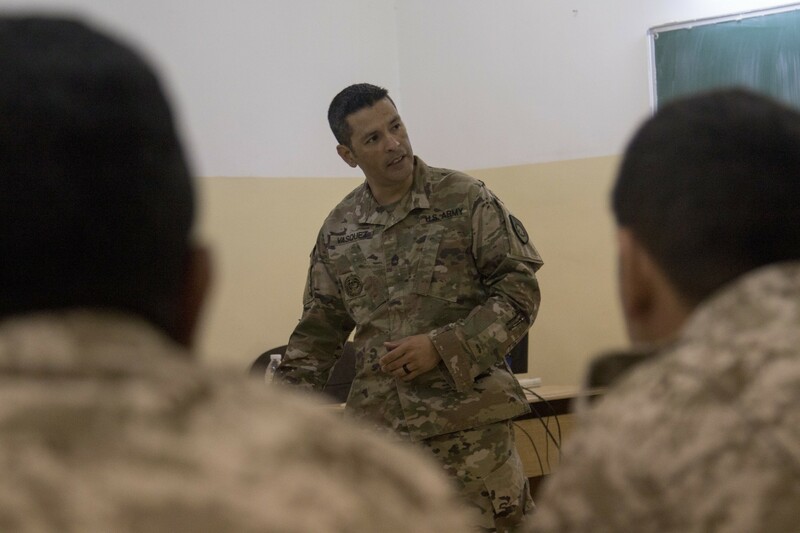 We're all interested in training the Soldiers to be better, and we're always seeking improvement," said Vasquez.